Gill is an Art Therapist and clinical supervisor of play and art therapists. 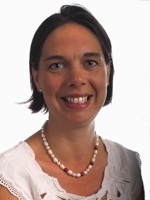 Gill joined Tobias School of Art and Therapy in 1990 and since 1993 she has been the director of the Transpersonal Arts in Therapy training. She has been intensely involved in course accreditation and development. 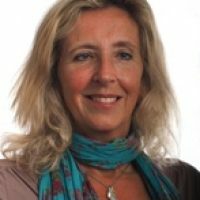 Gill is a graduate of Tobias, The Institute of Arts in Therapy and Education and of the Emerald Foundation, Holland. 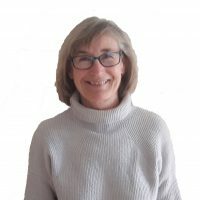 She has worked as an art therapist in primary schools, Waldorf schools, and with adults in medical and private practice She leads workshops in Europe and USA. 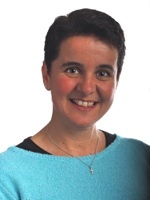 Maria is a fully accredited and registered Art Therapist and clinical supervisor of art therapists. Following study and work with children in remedial education Maria studied Art Therapy at Tobias School of Art, graduating in 1992. She then undertook post- graduate study in Sculpture Therapy at the Hoathly Hill Sculpture Studio and since 1997 has been co-director of the Studio working both as artist and tutor. She also maintains an art therapy practice and has worked in clinics and hospitals. From being a sculptor and art tutor Jonathan followed this with a period of academic study of Art History, specialising in contemporary art practice. Jonathan teaches writing, research, study and presentation skills along with lectures on Art History. He is also the General Manager for Tobias. Helena began working in the Tobias office in June 2004 after relocating with her family from South Africa. She is the office manager, first aid and student welfare officer. She also arranges all campus accommodation. After graduating from Durham University, Helen spent ten years working in the publishing industry in Sales and Marketing, in both the UK and Southern Africa before giving up full-time work to nurture four children in West Sussex. Whilst doing this, Helen re-trained in Adult Education at the University of Bedford and has since worked fo r the NHS and NCT delivering antenatal classes. 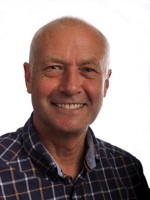 Christopher Clouder is an international lecturer and author of books and many articles not only on Steiner education but also on other educational and cultural subjects. He has made presentations in the EU and Westminster parliaments and been instrumental in gaining public funding for Steiner education in England. Christopher is a Fellow of the Royal Society of Arts.From 1989 to 2012 he was the founder and CEO of the European Council for Steiner Waldorf Education that spans some 680 schools in 27 countries. In 1997 he co-established the Alliance for Childhood, a global network which campaigns for the right of young children to be allowed to experience their childhood in a healthy and fulfilling way. He has recently been appointed the Director of Pedagogy of the newly founded Il Liceo dei Colli in Florence.Christopher is also Director of Research on Social and Emotional Education and Creativity for the Fundación Botín and his teams have produced five international reports on these themes. Catriona is a Tobias graduate, and has been practising Art Therapy and teaching art classes since 2010. She previously worked in Human Resources, Skills and Training. Her family are Diplomats, as is her husband. Living overseas for most of her life has has given her a unique cultural perspective, instilling values of tolerance, understanding and respect. Catriona is currently living in London, working remotely as Tobias Student Placement Coordinator (part time). Martin currently provides financial consultancy services in the fintech and professional services sectors. Martin also acts as a non-executive director and a school governor. 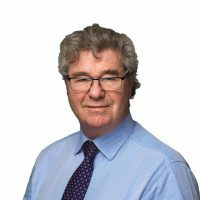 Martin qualified as a Chartered Accountant in 1973 with KPMG London. After 25 years working in senior finance positions with US multinationals in the financial services and technology sectors he joined a private equity funded technology start up in the mortgage sector. Martin acted as both CFO, COO and finally CEO taking the business through to a market leading position and a successful exit to private equity in 2012. Martin lives in Sussex and is married with two children. His interests include skiing, golf, gardening and music. Enjoys walking, singing in a local choir and various cultural activities. Trained as a teacher at Homerton College, Cambridge, and did a 2-year part time post graduate course in Language and Communication Impairment in Children at Sheffield University, specialising in children with Down Syndrome and Autism. Following short periods in teaching, bookselling, phototypesetting and publicity for a merchant bank, worked in special schools for children and young adults with severe and complex learning difficulties for nearly 20 years. Special interest in how children can access education and how they can express themselves verbally and non verbally. Currently a trustee of a local mental health charity, responsible for arranging weekly art classes for adults with mental health issues. Interested in contributing to the wonderful work that is carried out at Tobias by using her knowledge and experience of teaching and working with special children with very different needs. We are very fortunate at Tobias School of Art and Therapy to have many visiting lecturers who bring their knowledge and expertise to enrich the educate of of students.